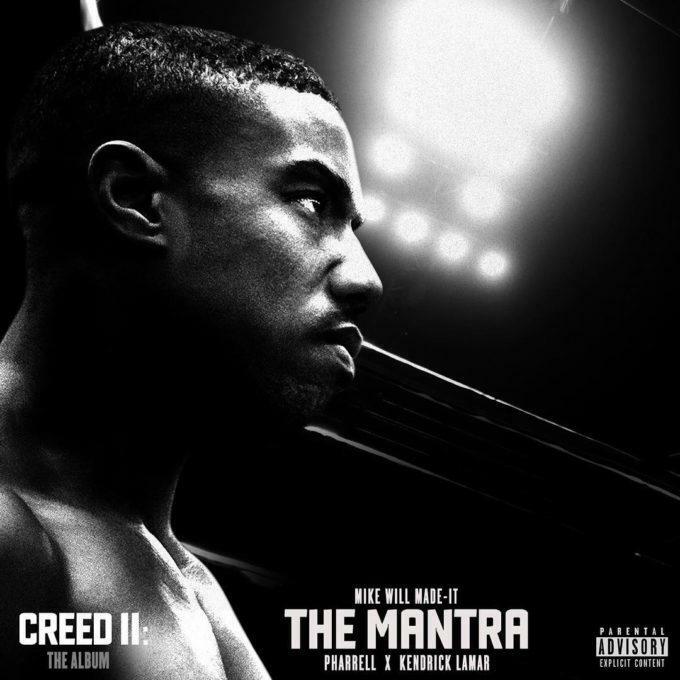 When the official soundtrack to Creed II was announced as a Mike WiLL Made-It production, things instantly got pretty exciting. Of his usual collaborators, we expected Rae Sremmurd to make a few appearances but Mike WiLL had so much more in store for us. Planning to deliver one of the classic soundtracks, the producer announced a tracklist with stars like J. Cole, Kendrick Lamar, Lil Wayne, A$AP Rocky, and more. In an attempt to give Black Panther a run for its money, Mike WiLL has put together a superstar line-up and the second song we've received from the project has officially arrived. It was announced earlier today that "The Mantra" would be dropping at night. The collaboration between Kendrick Lamar and Pharrell Williams was one of the more exciting of the bunch and we didn't have to wait too long because it's already here. Pharrell starts off the fun with Kendrick getting an extended section near the middle of the song. We have a strong feeling that people will not be disappointed with this one. "The Mantra" is currently available in select international markets for streaming. You can preview it right away in North America, where it will be dropping shortly. What do you think? Brasstracks Teams With Pell For New Song "Vibrant"